Availability: This product is discontinued and no longer available for purchase. For alternatives browse our Run Watches department. Armed with a potent 120 decibel panic alarm this is a practical and unobtrusive way to address safety concerns while running, walking, hiking, or travelling. The Backlit LCD screen also displays elapsed workout time, distance covered and time of day. The perfect gift for someone precious. 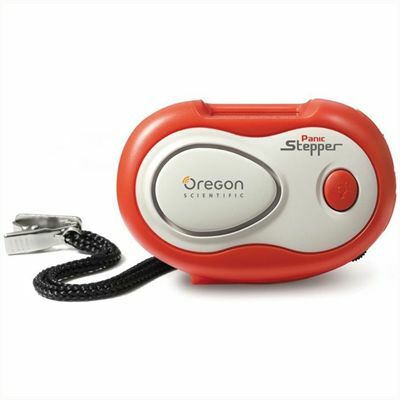 for submitting product review about Oregon Pedometer with Panic Alarm.